Henshalls Health and Safety team are urging employers to take the health and safety of their staff more seriously. Charles Gunter is part of the in-house health and safety team at Henshalls Insurance Brokers and his call follows a recent court case involving contractors on a construction site. “A worker on the site was trying to attract the attention of a vehicle driver on a neighbouring worksite when he was struck and run over by a tipper truck. The Birmingham contractor he was working for was fined £500,000 and ordered to pay £30,000 costs, along with a victim surcharge of £120. Mr Gunter said the HSE investigation had shown that the walkways connecting the adjacent worksites were not protected enough, and the traffic management plan was not up to date. “The message from this case is very clear – proper health and safety provision should have protected the man from serious injury, and would have saved the company half a million pounds. “Not only that, but work was undoubtedly disrupted at the site, and hours of working time will have been lost during the investigation and the subsequent court appearances. There may well be compensation payouts to follow as well, which will affect the contractor’s future insurance premiums, costing the firm even more money. 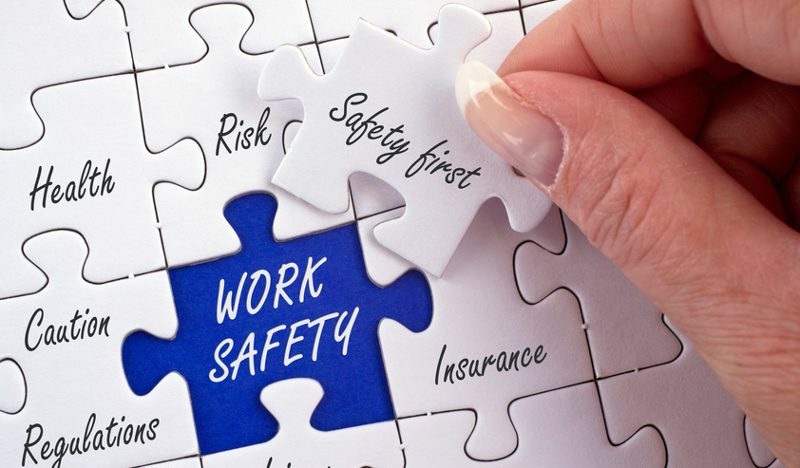 Henshalls launched their health and safety service to help businesses stay up-to-date with ever-changing legislation, as commercial insurance policies demand businesses comply with the latest rules. Their in-house consultants visit each company to discuss their individual needs, and review both the workplace and the company’s current procedures to assess the specific risks and identify any issues that need to be addressed. The team then develops a comprehensive safety policy and provides help and assistance to implement the correct procedures.